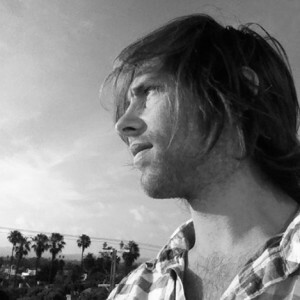 Adam Matis is a digital compositor from Parma, Ohio based in Los Angeles, CA. He has worked on the Oscar-winning 'Life of Pi'; Starz TV series 'Da Vinci's Demons' and Blockbusters such as 'Iron Man 3' and 'Man of Steel'. We noticed his vfx showreel on Vimeo and were impressed by his efforts. He clearly has a keen eye for detail and is certainly one to watch. 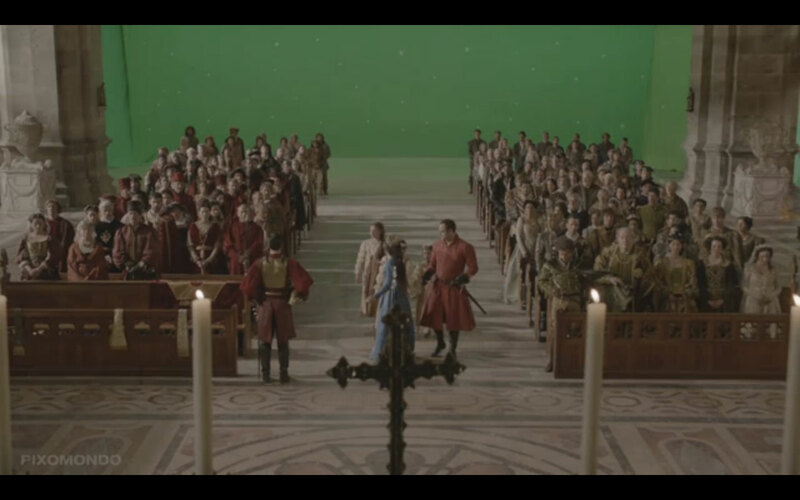 We wanted to find out what its like working as a roto artist in a big production as well as a compositor in TV series'. Well before my career in the VFX industry I lived in Parma, Ohio. Basically 10 mins South of Cleveland. I graduated high school in 2004 and knew I wanted to do something art related but I wasn't sure what college to go to. So I went to the local community college. It was a 2 year college but of course 4 years later I graduated with an associates degree in Illustration. About my 3rd year in, I worked at the world headquarters at 'American Greetings' card company located in Cleveland, Ohio. It was an entry level position, starting out checking card files and making sure everything was in the correct order. I moved into colour management checking the CMYK values of cards so nothing was overly saturated and just looked right. I knew the card business wouldn't be booming in the near future so one day I told myself I wanted to work on movies. My fellow cube mate told me about 'Full Sail University' in Winterpark Florida. I drove from Cleveland to Winterpark, Florida. 2 years later in May 2012, I graduated with a BA in computer animation with a focus in compositing and associate in illustration. 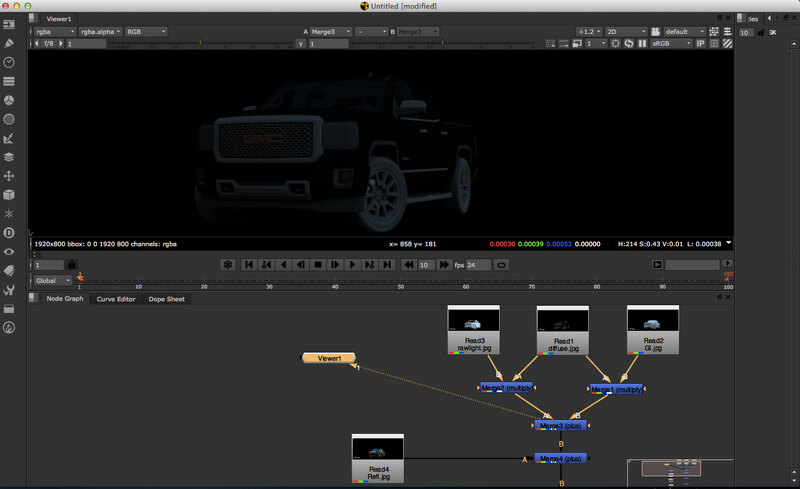 How did you start in the visual effects industry? After graduating, I started to send my résumé and reel out to various companies in Florida, New York, Chicago and California. In June I was contacted by a company in New York called 'M360', about 20 mins from Manhattan. So I ended up driving from Florida to New York and worked for this company on in house promotional videos for Mountain Dew and Lipton. I worked at this company for 3 months. I knew I wanted to work on films so I set my goal to California. In October I was contacted by Stereo D. A '3D conversion' company. I had a job before I even got there, which to me was a golden ticket so I accepted their offer and drove from New York to Los Angeles. From 'Stereo D' I got a full time job at 'Crazy Horse Effects' in Venice and have since moved on to various companies. How long have you been working in the vfx industry? 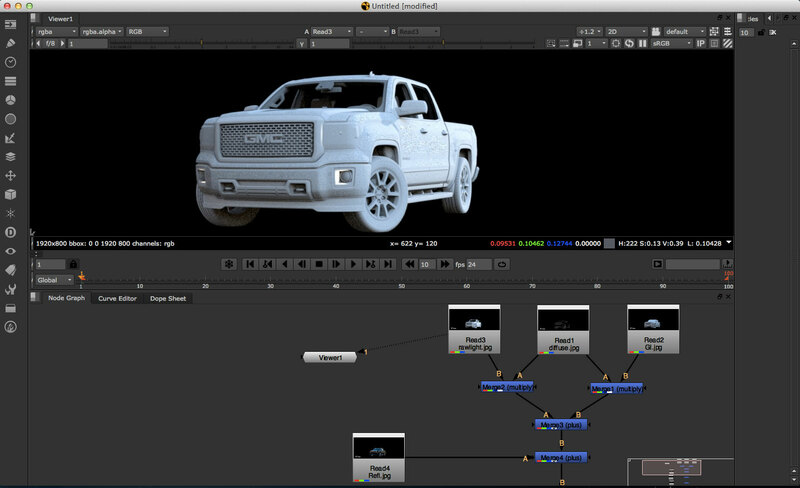 What was your first paid vfx gig? I've been working in the vfx industry for about about 3 years and 3 months now. My first paid vfx gig was in New York at 'M360'; I was working on some of their personal projects and an in house promotional video for Mountain Dew. I was contracted to make $600 a week which from a poor college student's standpoint was a goldmine! 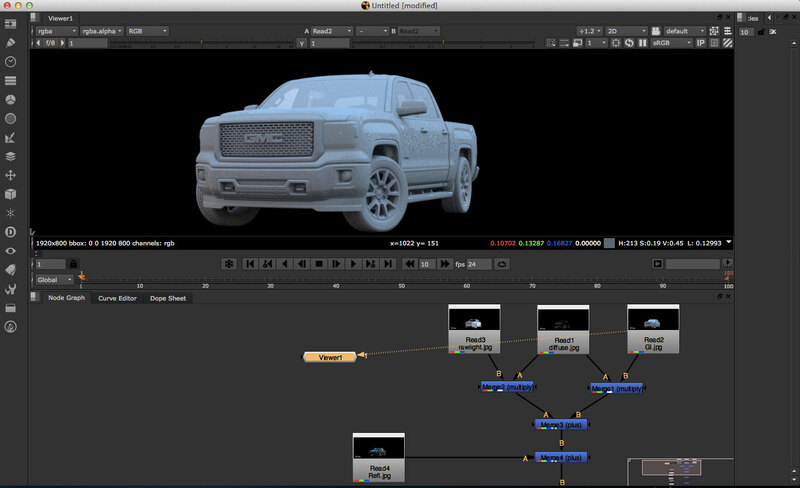 How has the vfx industry changed since you started? 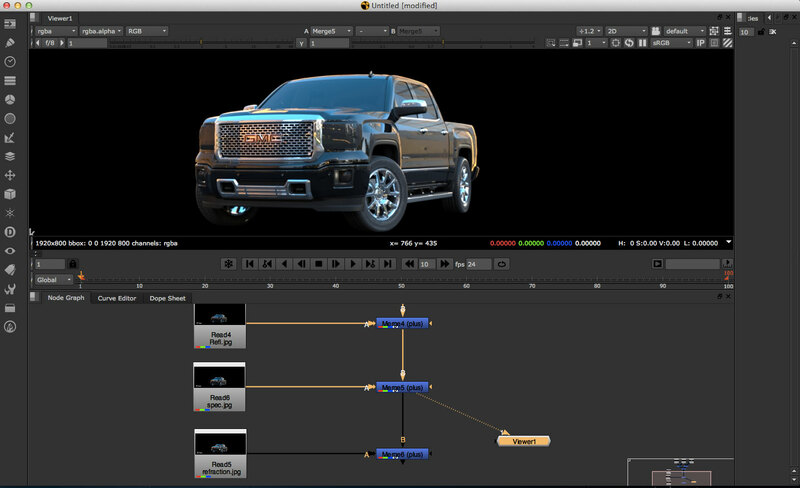 The vfx industry has changed drastically in such a short time. It's sad to say the change has been for the worse as most projects are getting shipped out of L.A. to other parts of the country and the world. With crazy tax subsidies everywhere else it really hurt L.A.. If vfx is what you love and is your passion you can get a job(in L.A.). Hopefully in the future things will change and L.A. will be thriving again. I'm most proud of my work on 'Da Vinci's Demons' and 'GMC 360'. 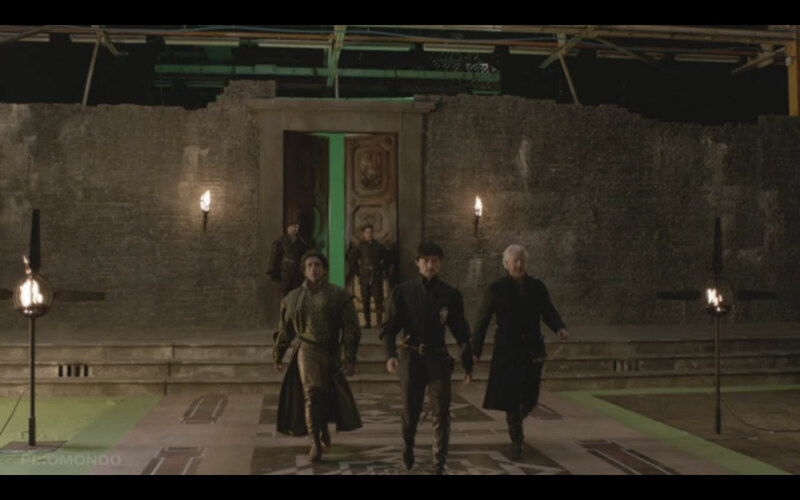 Working on a whole season for 'Da Vinci's Demons' was a great learning and working experience. You really get to understand how fast pace TV shows really are and how much work goes into them. Getting a handful of shots and having a week to finish them really puts you to the test and shows your skill. I came out of 'Da Vinci's Demons' with a ton of great shots. (I am pround of)the 'GMC 360' because of how fast that had to be turned around and the final look of it. Afterwards, seeing the finished product on the website is a great feeling. Same with 'Da Vinci's Demons' and any other movie/TV show I've worked on. Seeing your name in the credits and shots on the screen makes you want to work harder and keep perfecting your craft. You worked on several feature films like Man of Steel and Iron Man 3 as a roto artist. What's it like working as a roto artist in a feature film? Was it just 2D or 3D conversion? Working on those films as a roto/paint artist is a great feeling. Working on such features, you have to really have a great eye for detail. Everything is going to be enlarged on the big screen so you need to make things "invisible". You need to be very accurate with your shapes and how they move. There are tons of tricks to roto/paint that it might not be as simple as it seems. Everything was just 2D, the only 3D conversion I've worked on was 'The Green Hornet'. 3D conversion is bit different where you have to roto out shapes in depth. 3D seems to be a bit more time consuming and intensive. What software did you use for roto? 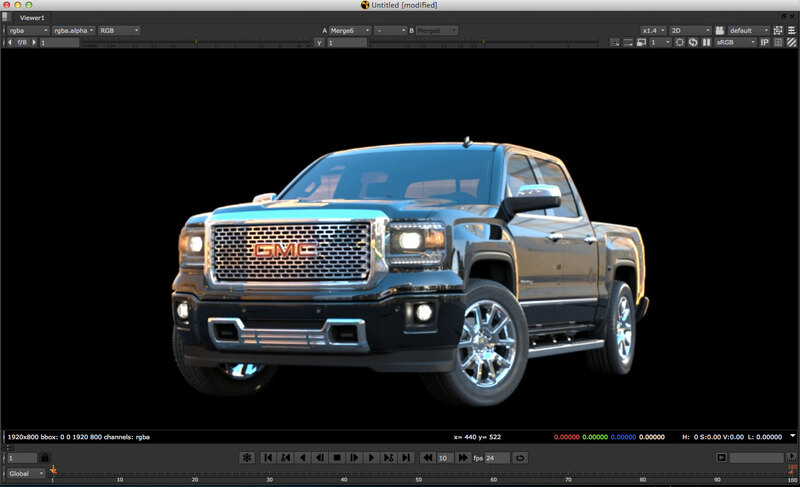 Do you use a different one for 3D conversion roto? 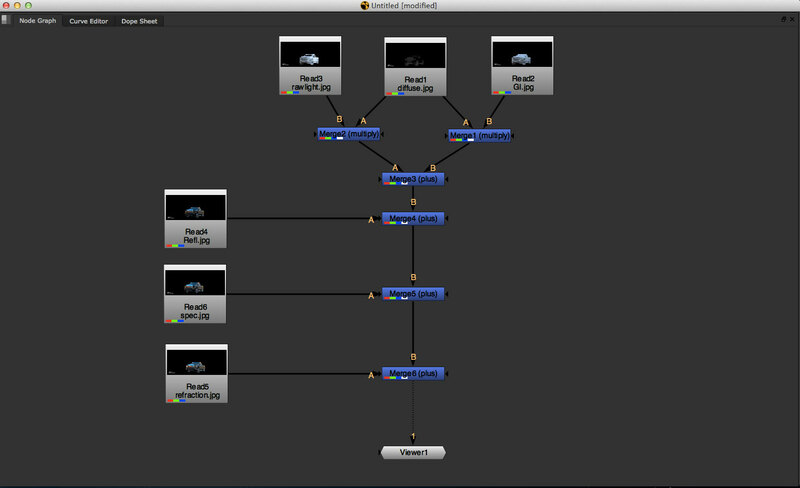 When it comes to roto I usually use Nuke's roto node. It has a lot of great functions to it and is really powerful. 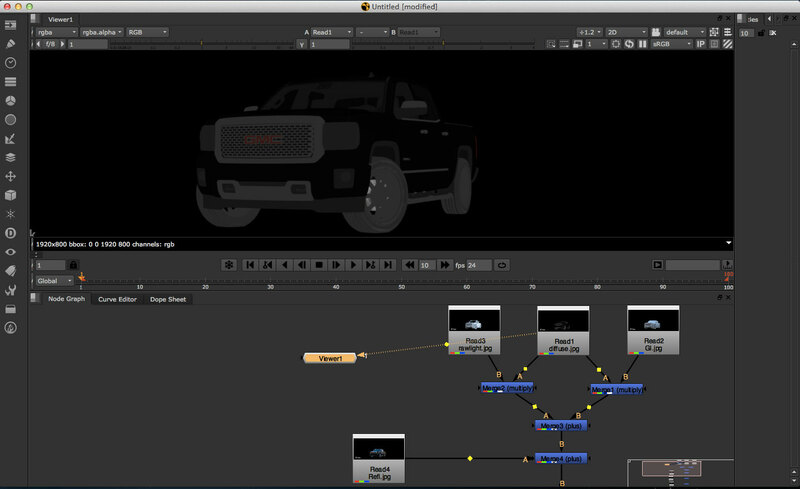 Depending on the company and the software used, sometimes I'll roto in After Effects or Silhouette. I favor Nuke but some people favor others which is fine because in the end they are all tools that will get the job done. 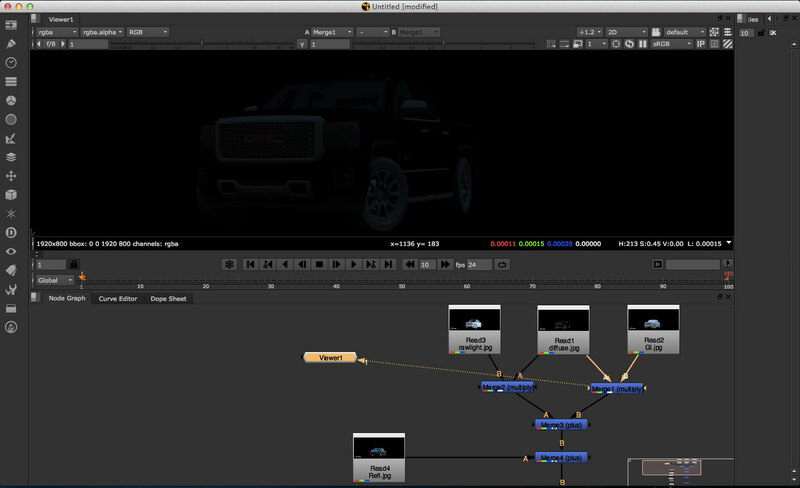 I've used Nuke and Silhouette for conversion. However, you can basically use any roto software to create your mattes needed for conversion. 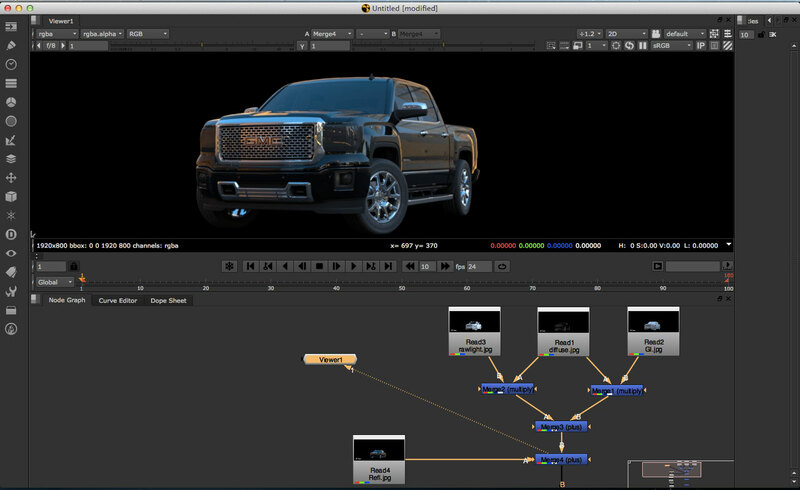 You also worked on some TV series; can you tell us about the workflow? It looks like you wore many hats and were responsible for roto/paint, track, key and comp. Is it common in TV series for one to complete a shot on their own? The work flow on TV series' is usually pretty fast because you get handed multiple shots at once. Most of the time you start prepping your shots while 'tracking' and '3D' are being worked on. After you get any 'matte painting' or 'CG', you start your process of different versions of the shot until it's finalised. If you have multiples of the same shots, you would establish a look for the main shot and all the rest would follow. Depending on which company you work for, the pipelines are a bit different; some places you have to track, paint, key, roto and comp your own shots... basically everything! In other places you just key or simply just comp. So learning as much as you can to complete each of these task is vital. When you're working on a movie or TV series you're working with a team so you want to help out as much as possible. In the GMC TVC, you did a wonderful 360 shot. How did you accomplish this? Thank you for the compliment on the 360 shot. The GMC 360 was accomplished with a lot of great people. The shot was set up outside with 36 cameras. They were set up in a circle with various heights, kind of like the 'Matrix slow-mo bullet scene'. In the center of the camera was a box to represent the truck. The footage was stabilised and after that (the)CG truck was placed in there and a 3D camera was produced. The background was cleaned up by an outside party. Once that was finished I had the background and some roto work to do on the grass. 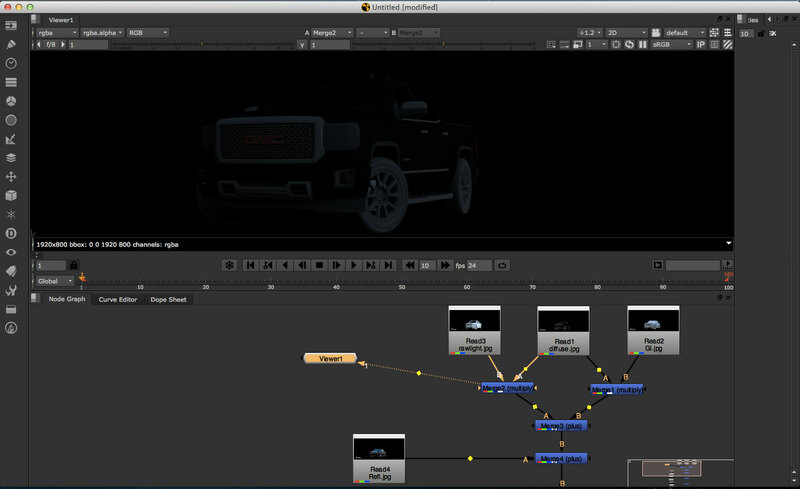 I was given CG renders of the truck and comped them together so that it would look identical to the beauty pass. After it was comped together I started tweaking all the reflections and refractions in the paint, making it look like the background is really being reflected, using the right amount of blurs and brightness. I used other passes to create a soft blue colour on top of the hood and roof to implement the sky. I then tweaked the lights of the truck and shadows on the ground. There were six variations of colour but once I had the main look, I could use it for other the colours to help speed up the process. So after about 5 or 6 versions of tweaking, everything was approved and a few weeks later it was on GMC website to be viewed. I also worked on the GMC 2014 Sierra that is on a floor of a football stadium. These had a lot more colours to them and the creation process was very similar to my first 360 shot. Did you do that in Nuke as well? For the 360 shot I used Nuke. It was the software the company used. Finally, do you have any advice for people who want to get into the vfx industry. The advice I have to give would be, to never stop practicing. Always learn new ways to do things and grow; learning multiple softwares can help as well. Don't get discouraged sending out résumés and reels and getting no response. If this is your passion you'll get work. Its hard to get into the vfx industry but once you're in, you're in. Its all about networking and meeting the right people. Its a very small community and you'll learn that everyone knows everyone. So remember, don't be a jerk!